Aged Gampi Tissue Paper - 9x16.5 Inch (Five Sheets) - Handmade, 100% gampi, 9g. 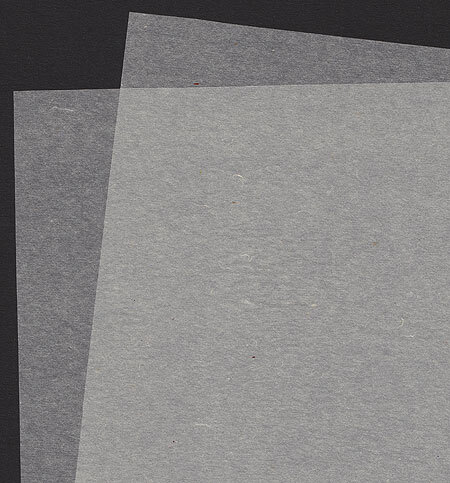 This handmade gampi paper was cut to size to use in mimeograph machines over 50 years ago. The benefits of aged baste fiber paper include increased strength. This affordable small sheet is perfect for chine colle, collage, and drawing with a fine marker pen. Extremely sheer, beautiful tissue weight paper. Sheets measure 9x16.5 inches; sold in packs of five sheets.